Video games TOTALLY count as TV, yeah? Because even though I think they're a lot more active than just watching TV, most of them do take place on a TV. So I'm featuring them. Plus, I love them. In this post I'm going to be talking about my 3 favorite series, which all happen to be for Wii/Nintendo, and next week I'll branch out to some non-Nintendo games! Does this come as a shock to anyone? Really? If you know me IRL, or if you've known me long enough to this post, you know I am ga-ga for this series. Why? Because it's probably one of the most rich video game experiences out there. Every single game in this series has such dynamic characters, engaging story lines, and phenomenal gameplay. Although I definitely prefer the more realistic style games to the cartoony ones, it's hard to find a bad game in this series. My personal favorite is Twilight Princess. How about you? What I also love about this game is how mentally stimulating it is. There are very few moments of button-smashing in LoZ. You have to think, and I mean really think. But you also have the freedom to explore this expansive (and beautiful) world. If there were only one video game franchise in the whole world, this would be the one I would want. If you have a chance to play this series, I would recommend starting with Ocarina of Time. But really, you can start with anyone you want. If you know video games, it also shouldn't be a surprise that I love this series. While LoZ is primarily fantasy, Metroid is essentially the sci-fi version of LoZ. In all of the games you play Samus Aran, a female bounty hunter (YES, Samus is A GIRL). And in almost all of the games Samus is the only intelligent life form in the game. Well... some of the aliens you kill are pretty clever, but what I mean is that it's a very isolated experience. I have a friend who does not like to play this game because she says it makes her feel lonely. But I love it, for all the same reason as LoZ too. Except Metroid is often a bit darker and scarier, and that can be refreshing after playing the comparatively happy-fun-times of Zelda. But in the end it is also a puzzle-adventure game. So if you like puzzles, and you like explore HUGE alien planets, this is the game for you. If you do decide to play Metroid, I would recommend starting with the Prime Trilogy. Unfortunately, getting the whole trilogy on Wii is PRICEY (anywhere from $50-$200 depending on new or used), but the gameplay on Gamecube just isn't quite as good in my opinion. So if you start with Prime #3: Corruption (the only one sold individually for Wii) you should still be able to follow the story just fine. 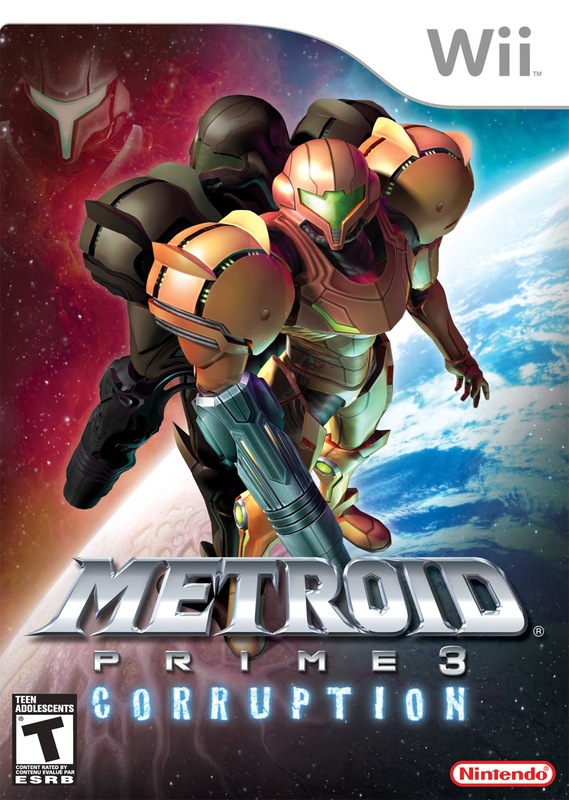 Other M is good too, just a bit different from a typical Metroid game, which is why I suggest Prime. This is a series I was only recently introduced to. Honestly, when I first played this game I got so bored. It is a turn-based RPG. Very different from LoZ and Metroid. But then I tried it over the holiday break and loved it! While it doesn't have as much adventure as the previous two series I've mentioned, it is essentially one big puzzle. And an added edge is that when a character dies they don't come back to life. Phew. That made for a lot of restarting. But my absolute FAVORITE thing about this game was definitely the strong female characters. Although The Legend of Zelda's titular character is a pretty BA character, and the main character of Metroid is equally awesome, they aren't quite on the level of Fire Emblem when it comes to strong female characters. Because it is Link who saves Zelda. And although Samus is female, many people don't know that because she's inside a fairly androgynous robot-suit. So what makes Fire Emblem different? There is absolutely no distinction in the way male and female characters are treated. Is the main character a man? Yes. But he's surrounded by strong female characters. And never once is the validity of their strength brought into question. And the female characters are as strong as the male characters. By the end of the game most of my MVPs were female. I loved it! After I finished these games I had about a dozen new video game heroes, all women. Currently my favorite game in this series is Path of Radiance, but... it's also the only one I've played all the way through. So... start with that one? I'm stuck in the yeti castle in Twilight...its been awhile since I played. I want a 3ds just for Fire Emblem Awakening. The reviews are amazing. Lately I've been into visusl novels on the psp. A very bad addiction! Awakening looks BEAUTIFUL! I would totally get a 3ds just for that game, too! I've only played one visual novel. But I agree that it was VERY addicting. Especially since you could play the game 6 times and each time could be different. This is a cool site that lists a lot of visual novels in English http://www.englishotomegames.net/ There's a ton you can play for free on your phone. The site focuses on otome, but most otome games are like visual novels. You sound like my hubby! He is a total Nintendo guy. His favorites are Zelda and Metroid as well. I'm more of an Xbox person. I might be more of an xbox/ps person except that I've never owned any kind of playstation, and only had an original xbox as a kid, never had a 360. I hope when I get a "real" job I can afford to delve into other platforms.